The October 15th edition of the Michigan Tech Lode features an interview with Dr. John Durocher. Dr. Durocher discusses some of his research, as well as the research of his graduate student Travis Wakeham, and gives advice to undergraduates who are interested in working in a faculty’s research lab. Congrats to Biochemistry and Molecular Biology major Kyle Glasper who was chosen this year’s homecoming king. 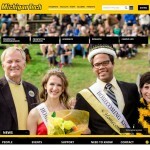 You can view a short homecoming video and other event information on the Homecoming home page. 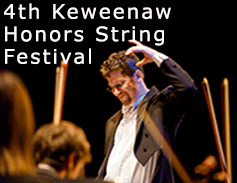 Four students from a variety of Biological Sciences majors are participating in this Saturday’s Rozsa performance of the 4th Keweenaw Honors String Festival (Violapalooza). The show will be streamed live at the Visual and Performing Arts web site. 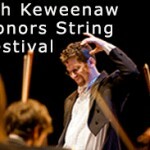 Tickets and additional information about the performance are available on the Michigan Tech Events Calendar. Dr. Thomas Werner and Dr. Xiaoqing Tang are featured in two separate articles in the last couple of week in the Michigan Tech Lode. The article on Dr. Werner’s research titled “Inside Look: Fruit Flies, Color Patterns and Cancer” can be found in the 8 October 2015 issue. The article on Dr. Tang’s research titled: “Solving the mystery: what connects microRNA and proteins to the pancreas” can be found in the 1 October 2016 issue. The First Annual Research Forum sponsored by the Life Science and Technology Institute was held Sept. 24 and 25. Twenty-seven graduate and undergraduate students conducting research in life science, biotechnology, human health and related areas presented posters. UPDATED: Here is a photo gallery of participants. • Do you know that cancer is the second leading cause of death? • Do you know of anyone who has cancer? • Are you interested in learning what causes cancer or the molecular changes that lead to cancer? 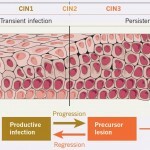 The prereqs are BL3012 Essential Cell Biology or BL4370 Cell Biology or BE2400 Cellular and Molecular Biology. 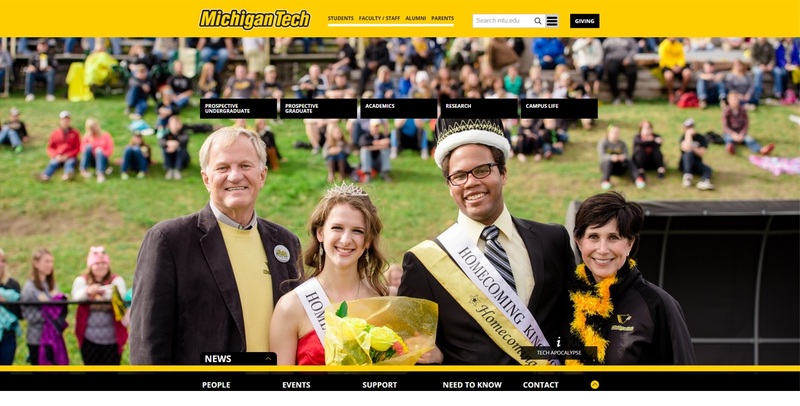 Dr Tang’s research is featured this week on Michigan Tech’s home page. By Allison Mills MicroRNA strands were once thought of as junk genetic material. Now, researchers know that these small structures help program surrounding genes, affecting everything from eye color to cancer. For diabetes, one such connection is a classic whodunit—it was miR-483 with the SOCS3 protein in the pancreas. Unraveling this mystery is the subject of a new paper published in the Journal of Biological Chemistry. Xiaoqing Tang, one of the study co-authors and an assistant professor of biology at Michigan Technological University, is poised. She is as calm as you’d expect a sleuth to be, and she explains the complex interactions of pancreatic microRNA with the meticulousness of a crime scene investigator. First, Tang says, we have to start with the big picture—the pancreatic cells where these genes interact. “We’re interested in the alpha and beta cells,” says Tang, explaining that beta cells secrete insulin and alpha cells secrete glucagon, which regulate our blood sugar levels. A normal ratio is generally 80 percent beta cells and 15 percent alpha cells. “In type 2 diabetic patients, the ratio is imbalanced and we see beta cell loss and alpha cell expansion,” the researcher says. Balancing these hormones is difficult to coordinate because several organs—the liver and brain as well as the pancreas—are involved. But the real nuance is within the alpha and beta cells themselves.